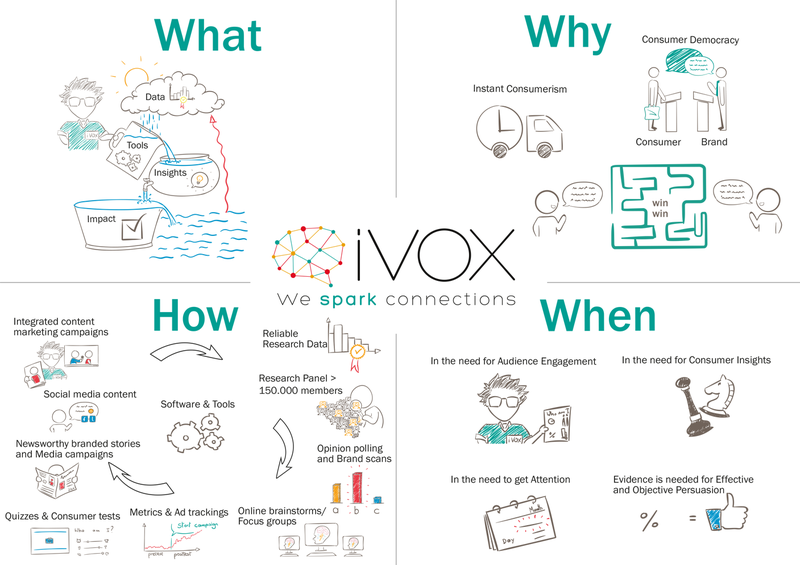 At iVOX, pretty much every project starts out with collecting data on consumers’ attitudes, knowledge and behavior. It’s the foundation on which iVOX and its clients build to gain insights, to create interactive marketing solutions and to develop impactful marketing campaigns for our clients. Whenever the key deliverable for iVOX is a clear understanding of what’s happening on the consumer side, when advanced statistics are necessary to provide meaningful results as well as detect, describe and profile various consumer segments or views, or when an interpretation, explanation or market benchmark by a trend watcher or brand communication specialist would be most appreciated, iVOX’ Insights business unit is definitely a good option to consider. When knowledge of and experience with collecting data and gaining consumer insights are properly covered, or when means and resources for accessing customers, consumers or audiences of any kind are already secured, clients are ready to be empowered by iVOX to take their research to the next level. 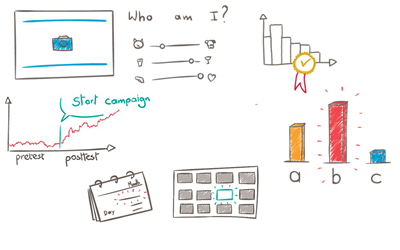 When market research is considered to be a means to a ‘marketing-end’, or as a cool-to-have add-on, when market research by itself may still sound too much like an investment, like what-a-man’s-gotta-do, a-man’s-gotta-do without feeling WOW or without having a direct impact on the marketing, sales or PR or brand experience side, the Impact business unit would like to get you all excited and started.